Gaming laptops have come a long way from being bulky to slim, but they still don’t match desktop counterparts in terms of performance and are more costly. It’s sad to see that a beastly machine such as the M17x R5 gets outdated so fast with the latest titles. The fact is, even if the M17x R5 comes with Maxwell powered graphics, the performance will still not match up with the satisfying performance of the Maxwell desktop graphics cards. 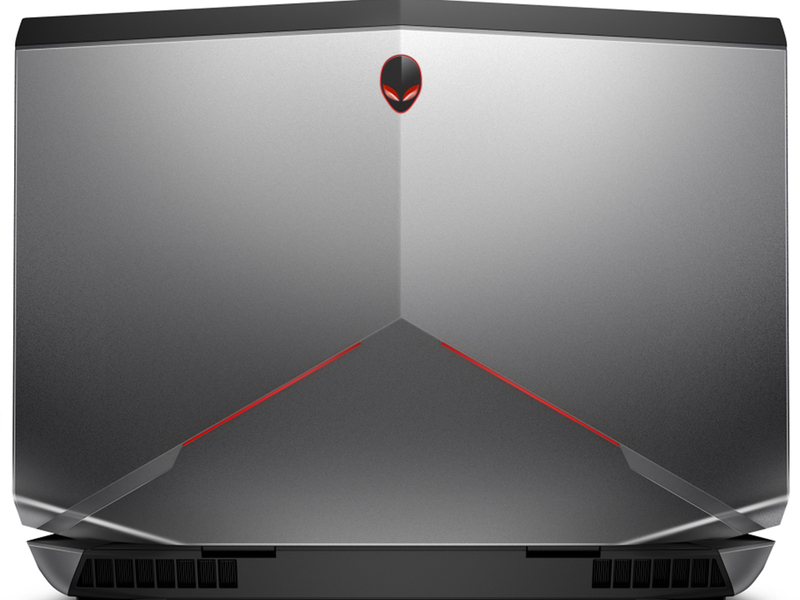 Somehow, Alienware has managed to top itself -- again. 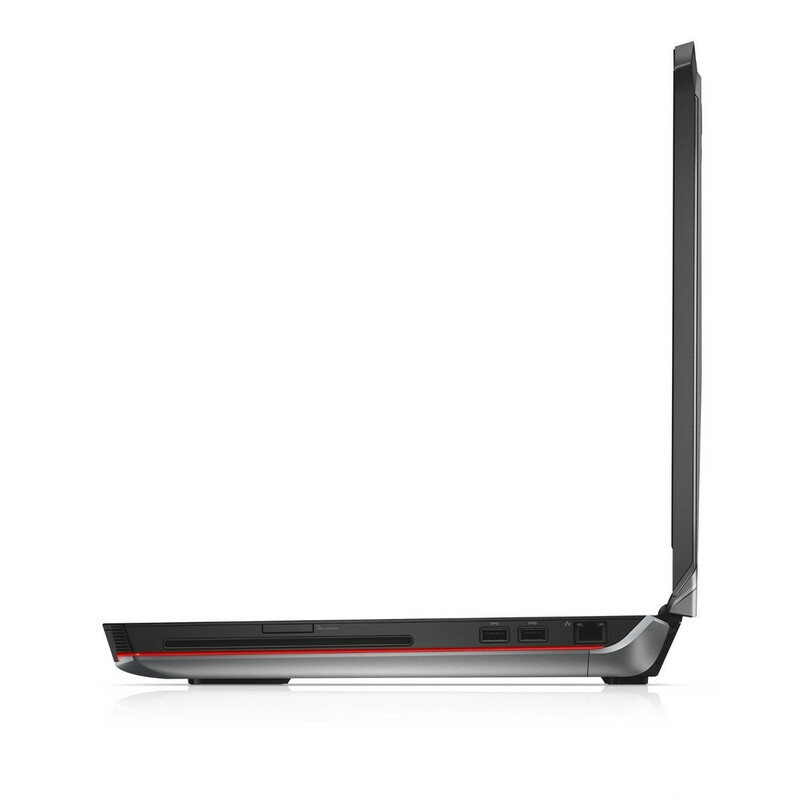 The Alienware 17 continues to catch every single eye in the room with its cocky, flashy design. And once this rig has your attention, it reels you in more with a gorgeous 1080p display and a stellar sound system. From there, it hits you with a one-two punch from the upgraded Core i7 processor and Nvidia GeForce GTX 880M CPU -- a combination that Floyd Mayweather would be proud of. 80% Does Radeon do a gaming laptop good? Save for some nagging (but ultimately fixable) problems, the Alienware 17 is one of the best gaming laptops money can buy. From its sharp metallic and soft-touch build to a host of powerful components, this is a one-stop shop for getting into PC gaming with a single click. That said, over $2,000 is a fat wad of cash to put up in hopes of avoiding the perceived hassles of PC gaming. 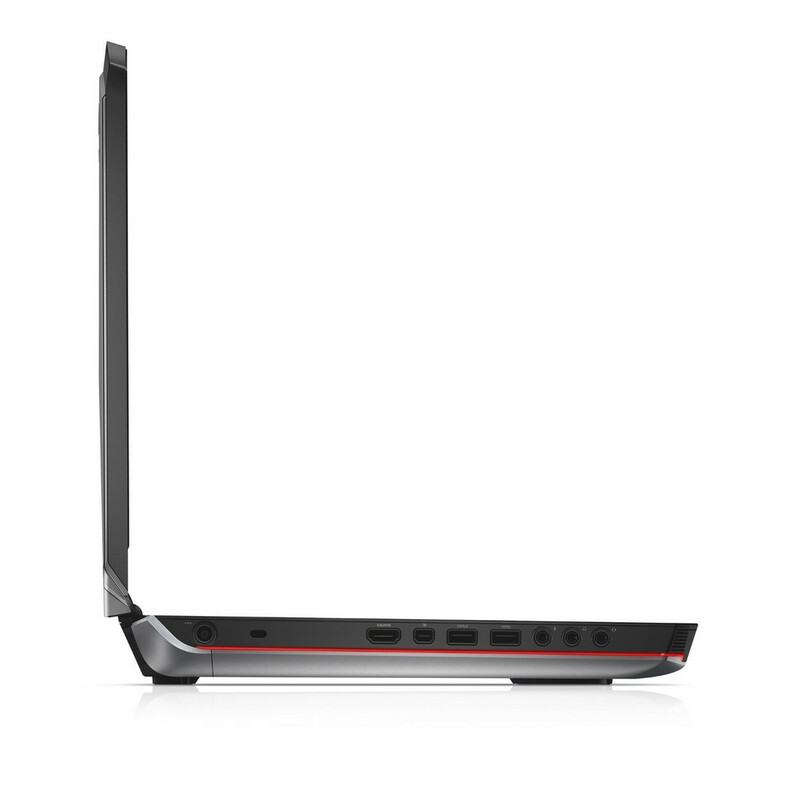 And again, if space is a concern, there are plenty of options that offer more power for less, given this isn't a laptop you'll want in your backpack for long. Overall, we're very pleased with the balance on this system, even if AMD Enduro's stability was a sore spot. Disabling the function isn't difficult, but it does come with a battery life tradeoff. Hopefully AMD and Alienware will be able to improve the situation with better drivers and software in the future. Regardless, if you're gaming on this machine, you're going to always want to use the discrete GPU anyway. Complaining about the size and weight of the Alienware 17 is missing the point, really – this laptop is all about no-compromise gaming, and in this it excels. OK, so the styling won't be to everyone's tastes and it's a long way from cheap, but if fragging is your thing, this beast of a machine will be your new best friend. 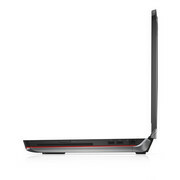 Overall we are very impressed with the Alienware 17. It offers almost all of the performance of the Alienware 18 in a more convenient, portable package. The aesthetic design remains very similar, despite the difference in size. 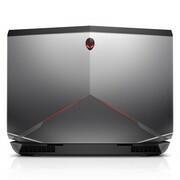 The Alienware 17 is very eye catching and is sure to attract gamers who are looking to buy a desktop replacement. 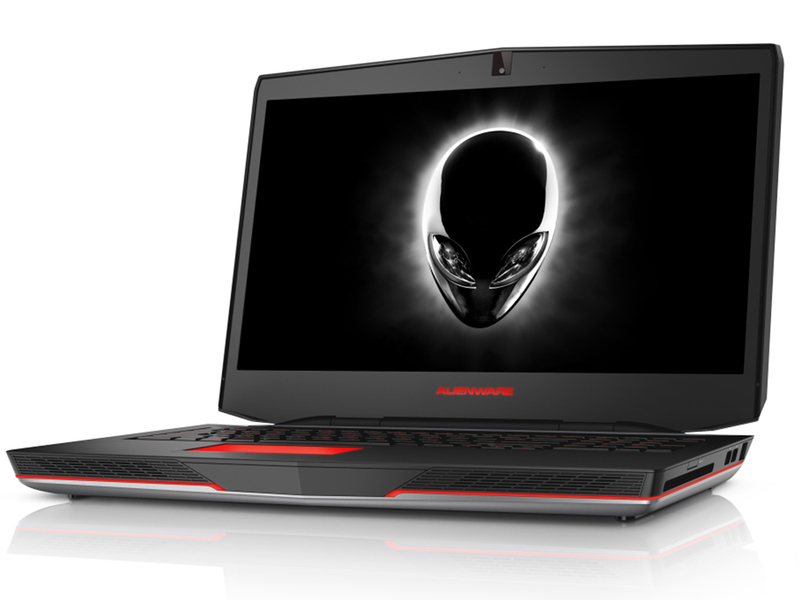 Even though the Alienware 17 isn’t currently available with the same range-topping Intel Core i7-4930MX processor as the Alienware 18, the performance of the i7-4800MQ will be more than enough for the vast majority of users. Side by side, the massive Alienware 18 we reviewed alongside this 17-inch model is the more impressive, and more expensive system. 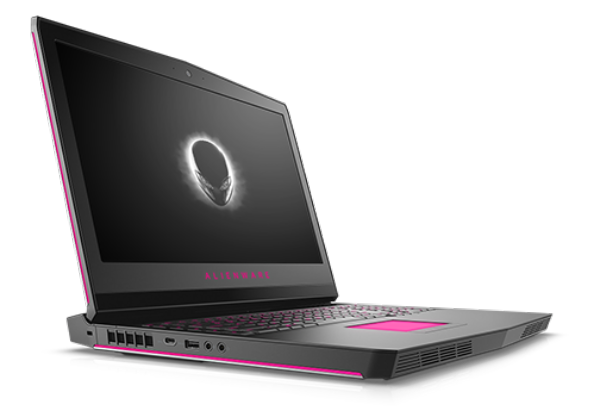 But the (slightly) more modest Alienware 17 is probably the winner in terms of practicality for most shoppers, cramming nearly all the same features, and much of the performance, into a thinner, lighter body. 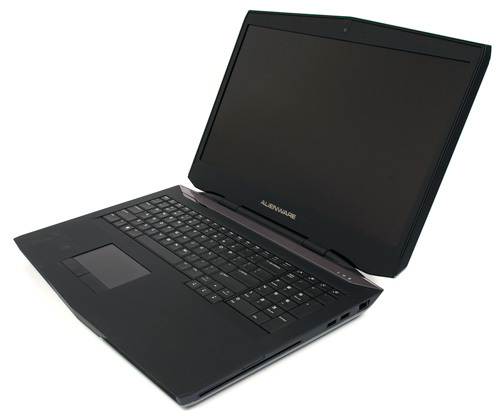 Alienware still delivers a great product with a striking design and very robust build quality. But you pay for the Alienware brand, and if you just want the best bang for your buck then we suggest you will want to shop around a bit. 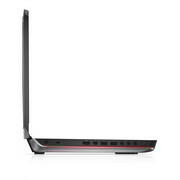 If money isn’t an option though, this is a seriously good, if not quite great, gaming laptop. Surprise: Dell's legacy as an OEM and Alienware's gaming cred still make for an awesome combination -- both the Alienware 14 and 17 rank among the best gaming laptops we've reviewed this year. Excellent build quality, killer components and excellent performance have left us with little to complain about. Нашествие инопланетян. В России понемногу начинают появляться игровые ноутбуки Alienware на базе последнего поколения процессоров Intel. Неплохое сочетание цены и качества представляет собой 17-дюймовая модель. Если, конечно, закрыть глаза на непомерную жадность некоторых отечественных перекупщиков. 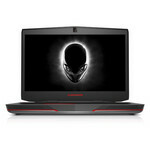 80% Alienware 17 review Does Radeon do a gaming laptop good? Save for some nagging (but ultimately fixable) problems, the Alienware 17 is one of the best gaming laptops money can buy. From its sharp metallic and soft-touch build to a host of powerful components, this is a one-stop shop for getting into PC gaming with a single click. Given that a 17.3-inch laptop, gaming or not, is a terribly niche product, consider every path before paying over two grand for the toll. Regardless, it's undeniable that this is the best-built mobile gaming PC around. If the fast lane to high quality PC gaming is what you seek, then the Alienware 17 will not steer you wrong. 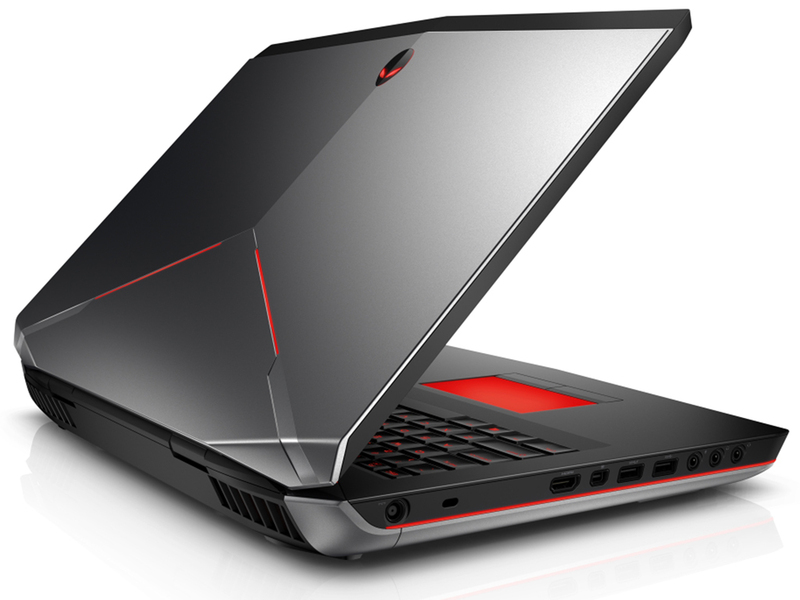 The Alienware 17 continues to be an impressive gaming notebook. We're still fans of the menacing yet fun design, with its customizable backlit keyboard and gorgeous 1080p display. For $2,499, this rig provides better performance than a similarly equipped version with Nvidia GeForce GTX 780M graphics, which costs $100 more. 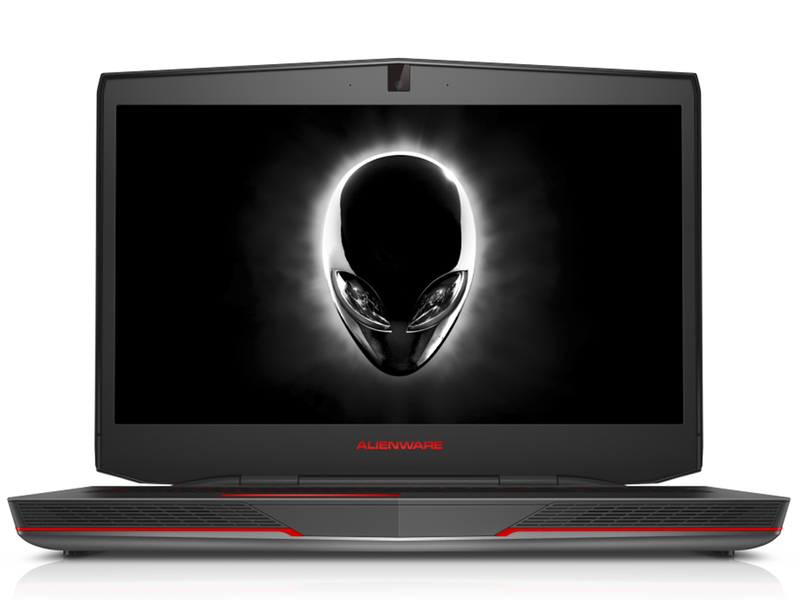 To say I went into this review of the Alienware 17 optimistic is accurate; surely Alienware would be able to tame Haswell and the NVIDIA GeForce GTX 780M, wouldn't they? If not them, then who? Yet the truth is unfortunately far more complicated, which has led to this review taking much longer than I had hoped. The Alienware 17 is one of the few notebooks we’ve tested that leaves us with almost all praise. We like its futuristic design and AlienFX customizable lighting system, excellent gaming performance, solid build quality, good keyboard, touchpad and speakers; and effective cooling system. We noticed battery life at just less than three hours was considerably less than the Nvidia-based Alienware 17 we tested last year (five hours). This AMD-based Alienware 17 still turned an acceptable time for a desktop replacement but it leaves room for improvement. The new Alienware 17 is a powerful, well-built laptop that should fit the needs of most gamers well. While the Radeon M290X in our review unit provided slightly less capable graphics processing than the GTX 880M, it is also sold for less. You’ll have to spend about $250 more to receive a similar configuration with Nvidia’s hardware. Кстати, совсем недавно, на CES 2015 был представлен в очередной раз обновленный Alienware 17. Так что фанатов этой линейки ждут новые впечатления и, возможно, неожиданные сюрпризы. 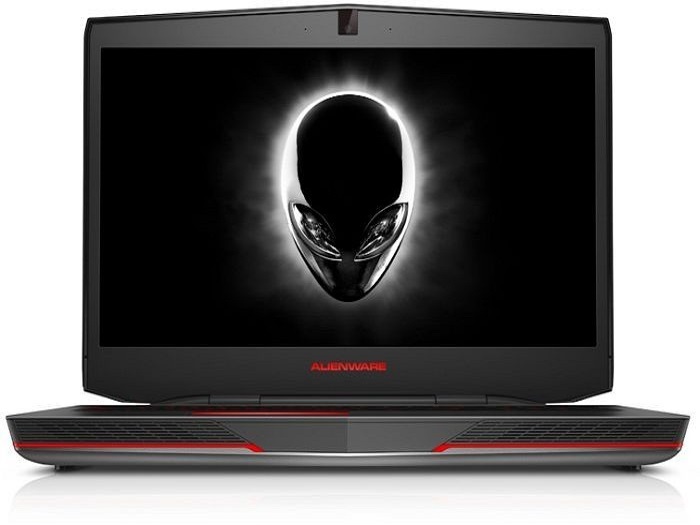 Несмотря на то, что в Alienware 17 R2 используется уже немного устаревшая платформа на базе процессора Haswell, этот игровой ноутбук все еще относится к категории высокопроизводительных решений и мало чем уступает современным ноутбукам на процессорах Skylake. Наличие видеокарты Nvidia GeForce GTX 980M делает его отличным игровым решением: можно комфортно играть в любые игры даже при настройках на максимальное качество и при разрешении 1920×1080. Герой обзора – это не только высокопроизводительный игровой ноутбук, но и полноценная рабочая станция. По сравнению с 15,6-дюймовым Alienware 15 у него появился цифровой блок на клавиатуре, а увеличенный экран с более качественной матрицей позволил обойтись без дополнительного масштабирования. Была улучшена встроенная акустическая система (добавлен низкочастотный динамик), расширены возможности для апгрейда (три свободных разъёма M.2), нет проблем с Adaptive Brightness при работе от сети. Ultimately, it comes down to which laptop fits your needs best. The MSI easily wins out on expansion and upgrade potential, while the Alienware combines gorgeous looks and better battery life with the option for future expansion via the novel Graphics Amplifier. It’s a tough call to make but, if you’re seeking the ultimate in laptop gaming, the Alienware 17 deserves to be on your shortlist. 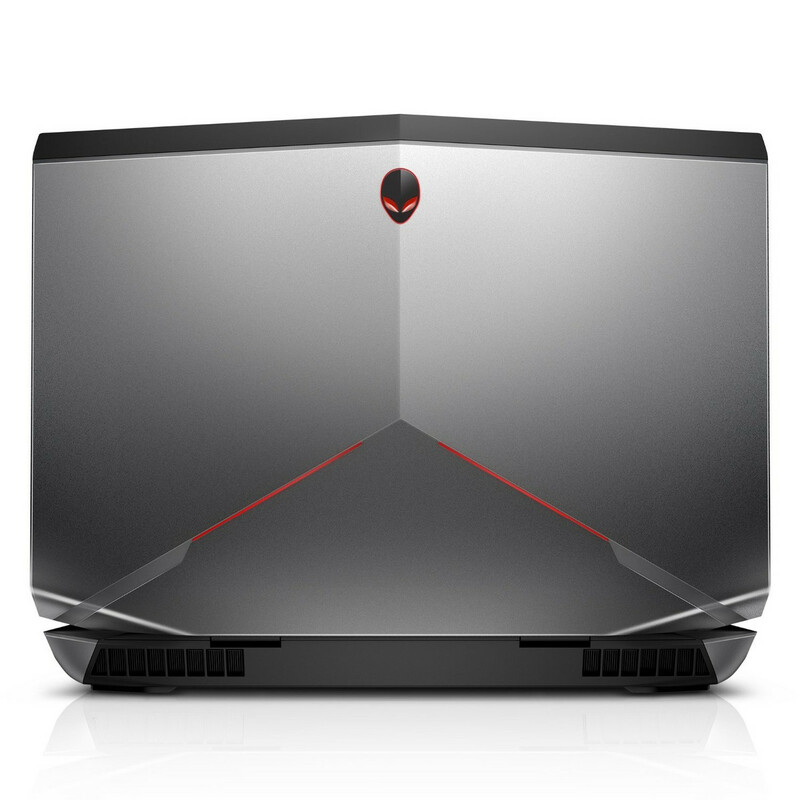 Alienware could have been content with simply evening the odds against the competition. 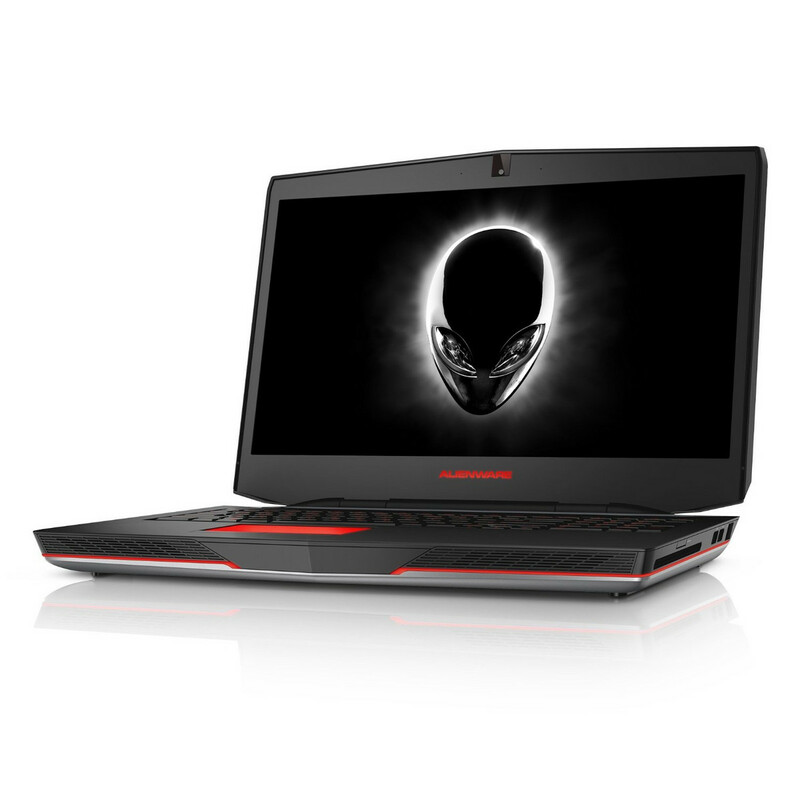 The addition of the Nvidia GeForce GTX 980M GPU ensures that Alienware fans will never find themselves outgunned. But the addition of the graphical amplifier is a game-changer that instantly transforms your laptop into a powerhouse desktop, only more compact. Alienware has done the gaming laptop-desktop hybrid right with an even leaner 17-inch monster and its accompanying Graphics Amplifier. 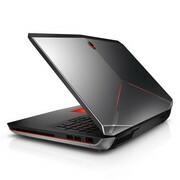 The laptop itself is a completely self-contained gaming machine, and things only get even better with connecting the GPU box. The ability to use the screen, plus not needing to plug in a keyboard and mouse makes it a much more sensible solution than the MSI GS30 Shadow. And if you're looking for something smaller, the Alienware 13 also works with the Graphics Amplifier. Ultimately, it comes down to which laptop fits your needs best. The MSI wins out on expansion and upgrade potential, while the Alienware combines gorgeous looks and better battery life with the option for future (albeit desk-bound) expansion via the novel Graphics Amplifier. It's a tough call to make but, whichever you choose, either will tackle the most challenging games out there: the Geforce GTX 980M is an absolute beast. Marathon runner. 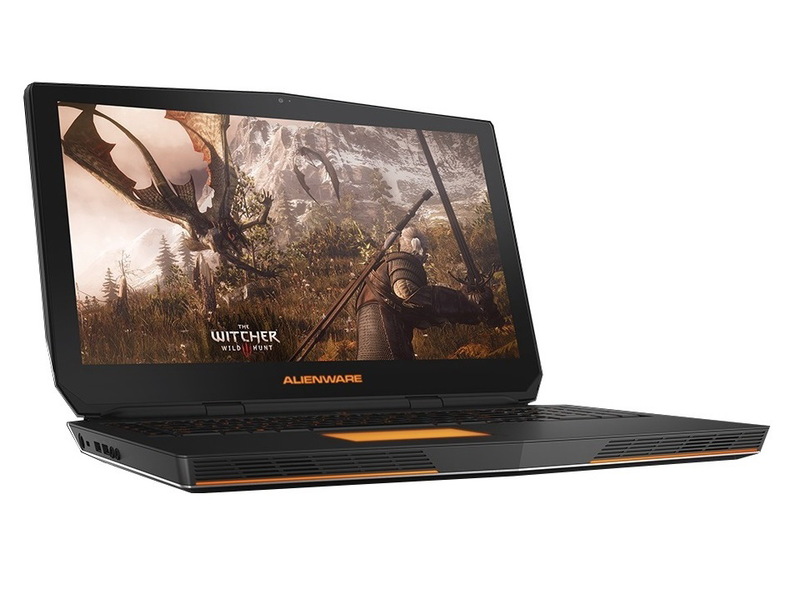 There are many powerful gaming notebooks, but only a few provide long battery runtimes. 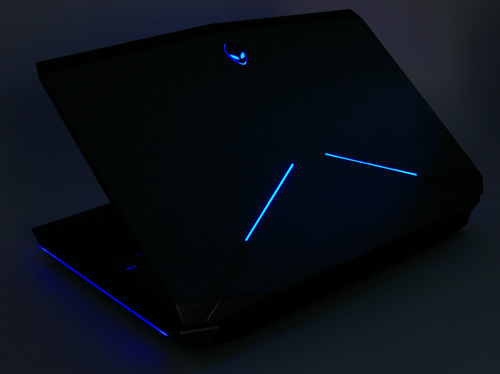 The third revision of the Alienware 17 turns out to be surprisingly enduring. Итак, знакомство с очередным игровым лэптопом прошло на «ура». Dell Alienware 17 R3 выглядит так, как и подобает геймерскому ноутбуку, поэтому принадлежность его к данному сегменту можно определить с первого взгляда. В конструкции используется сверхпрочный материал, который позволяет эксплуатировать устройство многие годы. 17.3-дюймовый экран радует отменными углами обзора, а также ярким и сочным изображением. Клавиатура – это отдельная песня. Традиционно она разделена на секторы, которые можно настроить согласно своим цветовым предпочтениям. Начинка у «пришельца» является очень мощной, она представлена процессором последнего поколения Intel Core i7-6820HK и графикой NVIDIA GeForce GTX 980M. Также нельзя не отметить большой запас ОЗУ и много места для хранения контента. Stark debut. Acer har tagit plats i den lilla skaran av gaming-PC-tillverkare. 80% Test : Dell Alienware 17 R3, le vrai remplaçant du PC gaming de bureau ? 90% Alienware 17 R2 testte! 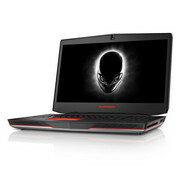 Средняя цена Dell Alienware 17 R4 — 150 тысяч рублей. То есть, можно купить и простую конфигурацию подешевле, или оснастить ноутбук 32 Гбайт оперативной памяти и выбрать 4К-экран, но тогда будет гораздо дороже. Также существуют варианты с процессором Intel Core i7-7700HQ вместо 6700HQ. Как нам кажется, именно для ноутбука всё-таки конфигурация за 150 тысяч (а примерно такая и была у нас на тесте) — наиболее оптимальная. Всё же, если вам нужен хороший экран — лучше взять монитор, и к нему тогда игровой ПК. Во всяком случае, за те же 150 тысяч можно собрать конфигурацию десктопа чуть получше, чем у ноутбука Alienware 17 R4. 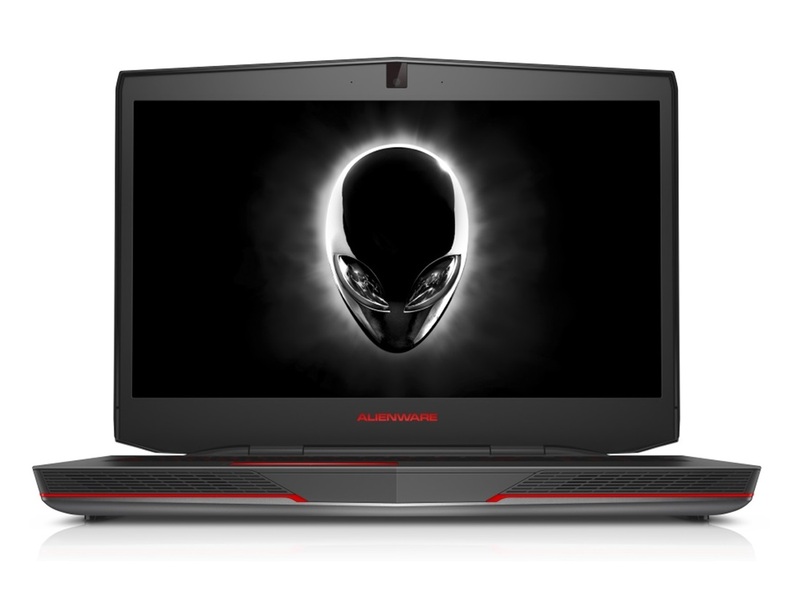 Alienware 17 R4 – быстрый и эффектный игровой ноутбук, предлагающий высокий уровень быстродействия, настраиваемую подсветку и кнопки под макросы. Есть возможность выбора между разными модификациями установленной начинки. К плюсам отнесем прочный корпус, технологию отслеживания движений глаз, хорошее качество встроенной акустики, набор портов и возможность апгрейда. Не устроить может шум во время нагрузки и большой вес. Задуматься о покупке может заставить только стоимость, настольные решения с сопоставимой начинкой будут дешевле, но стоит понимать, что это доплата за отсутствие привязки к определенному месту. С этим ноутбуком поиграть в PUBG, World of Tanks или новые синглы можно будет как дома, так и на работе или даже в дороге. Ноутбук больше — проблем меньше. 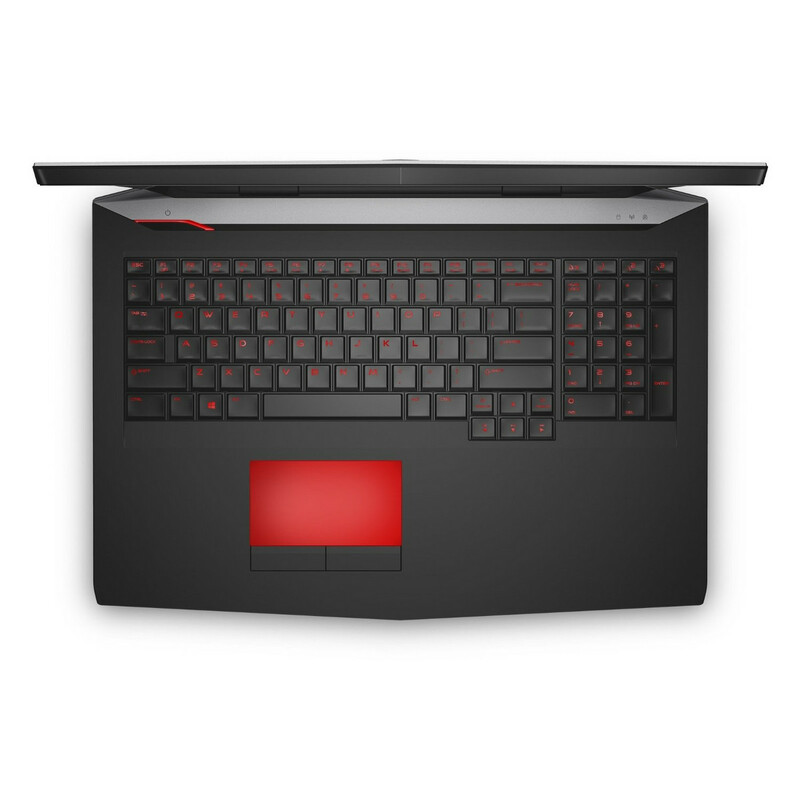 По крайней мере Alienware 17 R4 действительно оказался большей и менее проблемной версией Alienware 15 R3. Не то чтобы совсем беспроблемной, но сначала про плюсы и интересные моменты. Их здесь, помимо высокопроизводительной начинки, два: быстрый WQHD-экран с частотой вертикальной развёртки 120 Гц и поддержкой G-Sync, а также встроенная полноценная система управления взглядом Tobii IR Eye-Tracking. Собственно, вот за этот тандем и есть смысл отдавать деньги. If you want something that's fast out of the box but don't yearn to endlessly fiddle for that last bit of speed, the Alienware 17 delivers. While it’ll cost you a pretty penny, the Alienware 17 Gaming Laptop (as tested) is a performance beast in a sleek, well-built chassis with a beautiful QHD screen to enhance your gaming experience. With plenty of customization options when it comes to video card, storage, RAM, and screen resolution, there’s sure to be an option to fit your needs and budget. 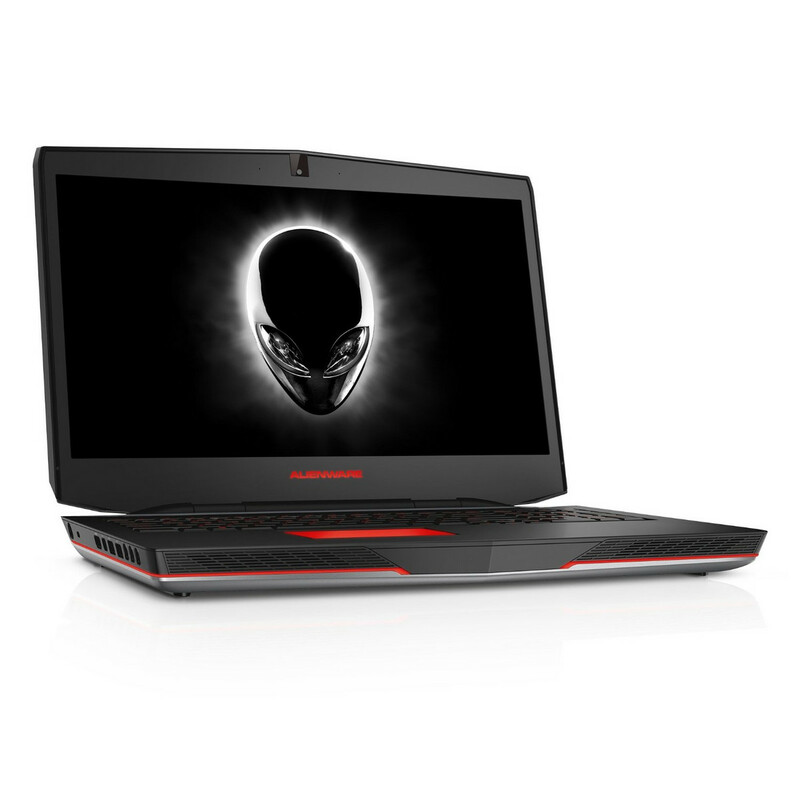 All in all we were left feeling that the Alienware 17 R4 is a bargain. You really do get a lot for your money, in every sense. There are rough edges, from the keyboard's zone backlight to loud fans to its enormous size, but the Alienware 17 R4 is still one of the few machines that can truly function as a semi-portable desktop experience. There's no doubt that the Alienware 17 R4 is one of the most capable gaming laptops we've seen, making easy work of our CPU and GPU benchmark tests and providing generally smooth gameplay. The design is eye-catching too, sporting a flurry of customisable LEDs across the body of the laptop, although it'll never look as sleek and attractive as a MacBook Pro. 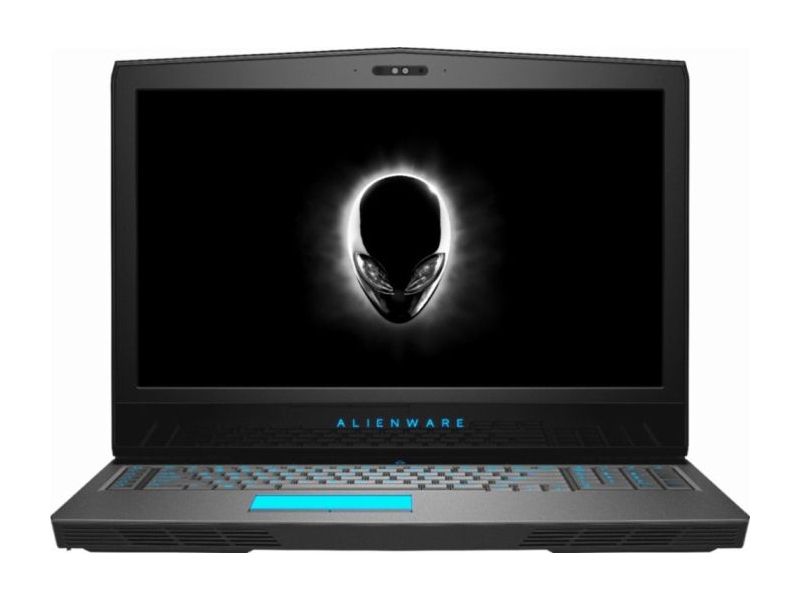 Sporting a more powerful processor, cool looks and a strong range of prices, the Alienware 17 R4 may be your best bet if on the prowl for a 17-inch gaming laptop. Overall, if you’re looking for a desktop replacement that delivers form and function, the latest Alienware 17 is a fantastic option. At a smidge under $3,000, it’s a pricey notebook for sure, but we found a similarly configured Sager NP9876 to cost more without the excellent look and feel of the Alienware 17. If it were up to us, we’d go for the model with the GeForce GTX 1070 and 1080p IPS display for $2,299, which drops the price enough for an Oculus Rift or HTC Vive. Overall, the Alienware 17 R4 pulls out all the stops, and is one gaming notebook that we’re glad to send off with a full recommendation. Well done. Delivering unparalleled performance for a single-GPU laptop, the Alienware 17 R4 is highly configurable, with tasteful customizable lighting and advanced features. It's our top pick for high-end gaming laptops. 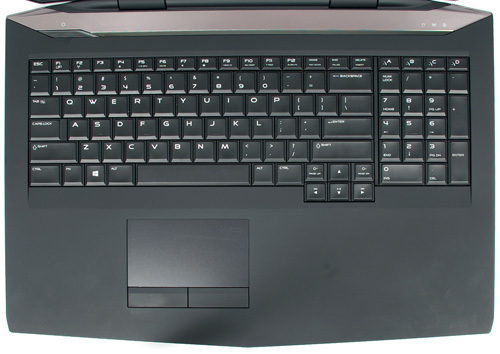 The Alienware 17 R4 offers excellent gaming performance, a comfy keyboard and an attractive design, but lower-end configurations suffer from dim screens and slow storage. Теперь с шестиядерным процессором. Несмотря на наличие самых современных компонентов, бренду Alienware, который некогда был №1 среди игроков, все труднее поспевать за многочисленными конкурентами. Почему такой подход больше не работает в данном сегменте, вы узнаете из нашего обзора. Четырехъядерный процессор, основанный на архитектуре Haswell, с базовой частотой в 2.6 ГГц и возможностью ускорения до 3.6 ГГц в режиме Turbo Boost. Оснащен встроенным графическим ускоритилем HD Graphics 4600 и двухканальным контроллером памяти DDR3. 81.74%: No rating comment found (one expected)!Общие рекомендации по выбору электроники: Гид покупателя.